These are new to the kitchen. YES! We usually get the Terra chips that are more of a variety and I just pick out the red and orange ones. (Sorry… I’m THAT jerk.) 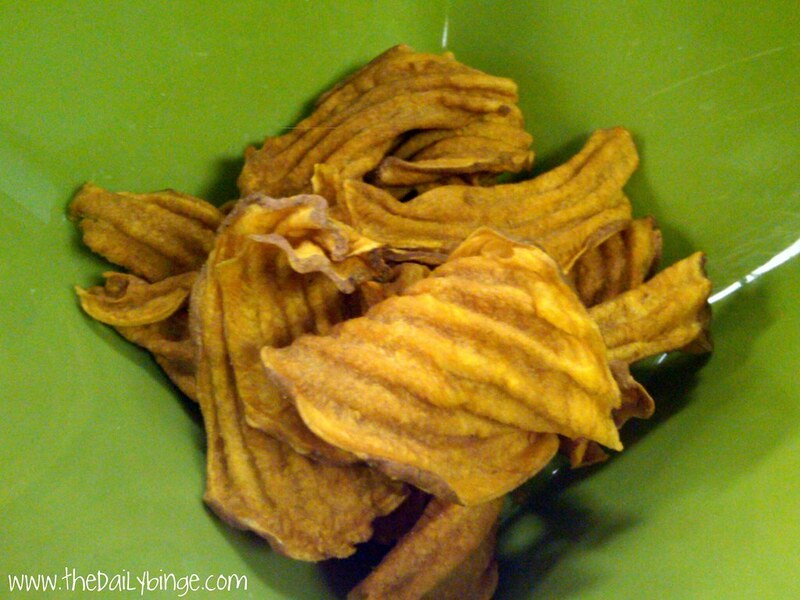 So I’m glad to have the ALL ORANGE (aka, just sweet potato) chips. 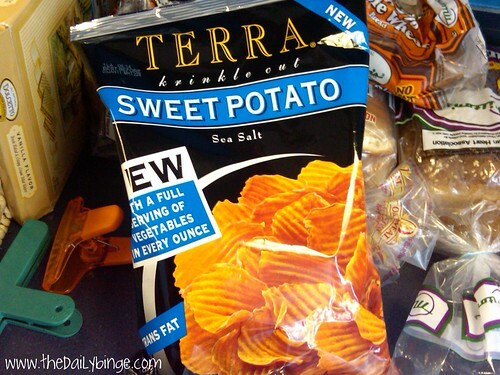 The chips look a little different on the bag. The orange looks like cheese, as in, Doritos. Apropos of nothing, I’m really excited about tonight’s “Modern Family” episode. According to Movieline, it’s the one where Mitchell and Cameron finally kiss! In the episode entitled “The Kiss” (!!!!! ), Mitchell’s steadfast refusal to show affection in public turns into a tiff with Cameron. I know I’m going to identify with this BIG TIME. I’m always negotiating how I feel about PDA (public displays of affection), re: myself and re: other couples. Sometimes I see a couple kissing and love them so much, and sometimes I see a couple holding hands and think, You clingy bastards!